Nowhere in the world other than IMG Academy will you find a more diverse and driven group of people united by a common passion for sport. Our students, athletes and staff are passionate, highly-motivated individuals, who have dedicated their lives to pursuing greatness in all aspects of life. It started with a dream. 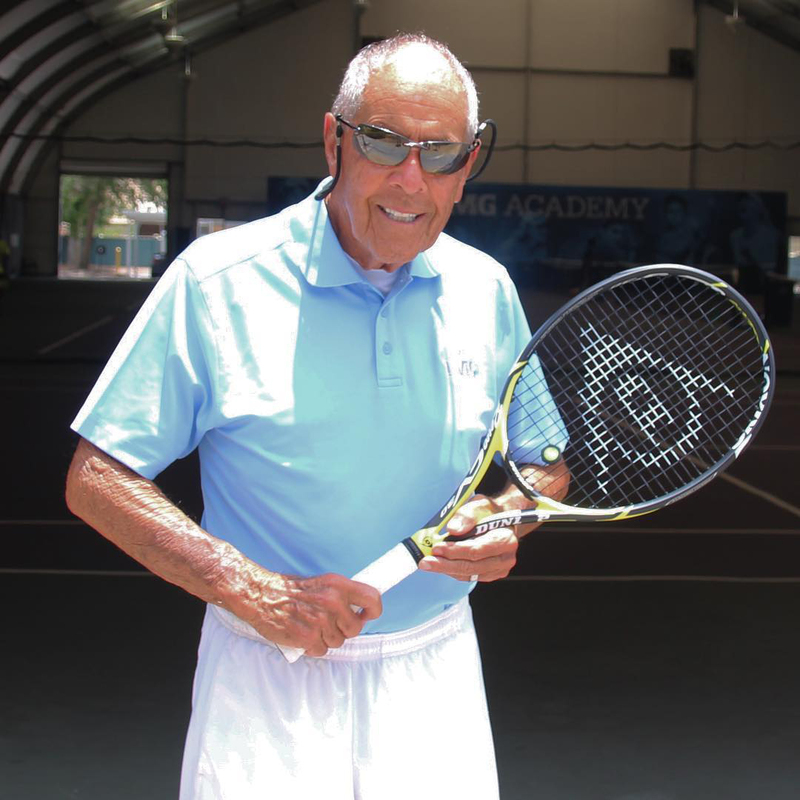 In 1978, legendary tennis coach Nick Bollettieri started the first full-time tennis boarding school, providing young athletes the opportunity to train at a higher level while pursuing their academic aspirations. We are now a multi-sport training destination that has hosted, trained and taught some of the world’s top athletes. But it’s not just about excelling on the field and court. Academic enrichment and athletic skill development represent only a portion of the training our student-athletes receive. Our aim is to build young men and women of character. We achieve this through our innovative curriculum, which challenges every student-athlete to set goals and push past their limitations. Every day, we remind ourselves that we’re building leaders in sport and leaders in life. At IMG Academy, we work with every individual student-athlete to identify and matriculate at the higher education institution that fits their academic, athletic and social needs. Often, those colleges and universities represent some of the highest-performing in the world. Our graduates have gone on to pursue academics and athletics at many of the schools U.S. News & World Report’s annual Top 50 list, including: Princeton, Harvard, Yale, Brown, West Point, Cornell, and Johns Hopkins. Our alumni list reads like a who’s who in the college and professional ranks. Our graduates have earned more than 133 professional all-star nods, 3 Heisman trophies, 108 major championship titles, 63 MVP awards, 14 national titles, 29 world championship titles, and 32 Olympic medals over the past 35+ years. Not only do our alumni and trainees continue to change the sports world as we know it—they continue to stay connected to the school in a variety of ways. Many return year after year during their offseason for specialized training. No matter the sport, athletes continue to become faster, stronger, and smarter while pushing the limits of individual and team performance. To stay ahead of the competition, we remain true to our original purpose, inspired by innovation, and fueled by the scent of victory. The future of performance lives at IMG Academy, and we’re committed to staying ahead of the curve in the way we train athletes and prepare them to compete anywhere and win everywhere.